This post originally appeared on the HBR Blog Network as part of a special collection on Scaling Social Impact. Forty years ago, British economist E.F. Schumacher, one of the fathers of the Green movement, declared that “small is beautiful” and called for “a new orientation of science and technology towards the organic, the gentle, the non-violent, the elegant and beautiful.” The retort from mainstream economists was swift and scathing: “Small is stupid.” Without economies of scale, they argued, developing societies would never develop the efficiencies needed to modernize. The man would know a thing or two about the pros and cons of being large. Founded in 1972, BRAC has made scale one of its hallmarks. Following Abed’s twist on Schumacher — “small may be beautiful, but big is necessary” — it now touches the lives of an estimated 126 million people with healthcare, education, enterprise development, microfinance and a slew of other programs. It has also expanded to 11 countries, in partnership with others such as The MasterCard Foundation, which has facilitated a speedy scale-up of BRAC in Uganda. Yet the elements of “smallness” that attracted Schumacher and his followers remain relevant to BRAC and similar organizations. Small means moving quickly, adapting to local demands, and understanding the needs of people across the poverty spectrum. It’s not easy, but organizations can do all of the above without staying small, just as BRAC has done. To address the needs of youth in developing countries, BRAC launched a girls’ empowerment program, Empowerment and Livelihood for Adolescents (ELA), in 2008. The program’s approach of social plus financial empowerment now counts close to 300,000 members in seven countries, and outside scholars have recorded positive impact on life and vocational skills, health-related knowledge, risky behavior, early childbearing, and engagement in income-generating activities. Meanwhile, the organizations’ program to “graduate” people out of extreme poverty is being replicated by other organizations in eight countries by CGAP and the Ford Foundation. Look at how BRAC became a pioneer in social enterprise — almost serendipitously. Today it runs a sprawl of surplus-generating businesses across diverse sectors. Most of these began as so-called “program support enterprises,” supporting mainstream programs like microfinance — by, for instance, providing services like seed delivery to rural farmers who were investing in their farms with microloans. These programs were later spun off into stand-alone businesses. 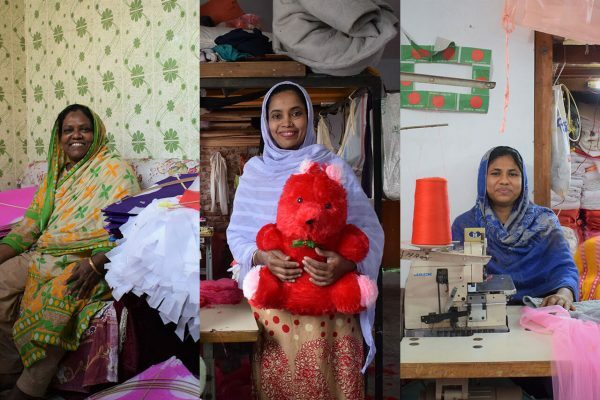 Although they retain a pro-poor focus, they generate the profits necessary for BRAC to be 70% self-financed in Bangladesh, where BRAC is based. BRAC’s scale “is a response to one of the biggest challenges of development: that solving one problem leads to others,” The Economist explains. It compares BRAC to Samsung, which began as a wool mill in the 1950s. Samsung found that “to expand, it had to make its own textile machinery; then, to export, it built its own ships; and so on.” Likewise, BRAC grew into a chaebol or conglomerate for social development. It began with microcredit, but found its poor clients could not sell the milk and eggs produced by the animals they had bought. So BRAC got into food processing. When it found the most destitute were too poor for micro-loans, it set up a program which gave them animals. 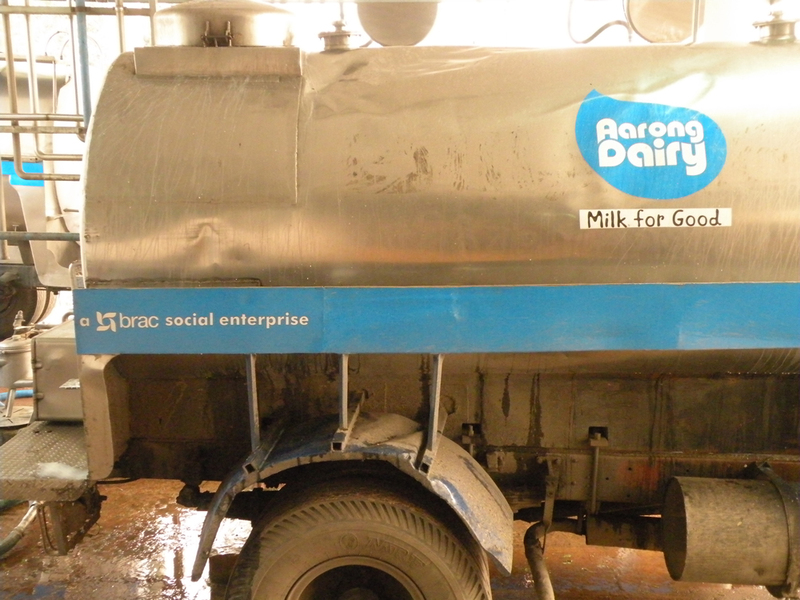 Now it runs dairies, a packaging business, a hybrid-seed producer, textile plants and its own shops — as well as schools for dropouts, clinics and sanitation plants. It’s safe to say that straying into new areas is part of BRAC’s institutional architecture, in other words. Of course, there are downsides to this approach, and management needs to be aware of them. Size inevitability leads to hierarchy, to rigidities in the system, and bureaucracy. To work within a process-driven organization like BRAC is to swim in a sea of acronyms that are largely meaningless to outsiders. Effectiveness comes with a routinization of tasks that, while not exactly mechanical, owes something to Henry Ford. But is such a beast necessarily ugly? Not if it also builds in a capacity for innovation and quick response — that is, pilot, perfect, scale up. When demand is spotted — say, a need for financial literacy training and microfinance products tailored for teens, in the case of ELA — the organization doesn’t waste time figuring out how to do things elegantly. It moves. It then assesses the pilot and adapts accordingly, which could mean eliminating the entire program if necessary. 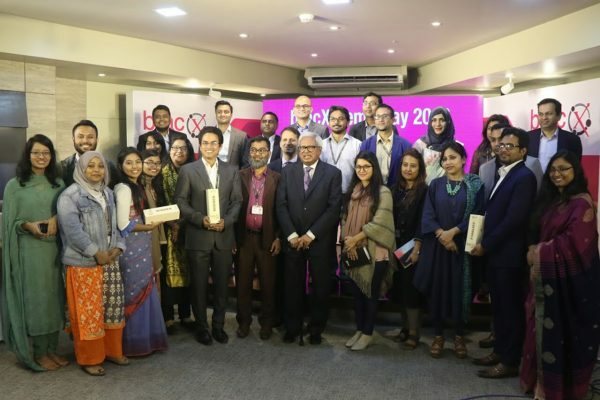 To do this requires stringent internal monitoring, and BRAC is often its own harshest critic via an independent research and evaluation division set up in 1975. Only then does it scale up. This is really a version of the “fail fast, fail often” innovation strategy currently in vogue among business strategists. Abed likes to illustrate this point by telling the story of BRAC’s oral rehydration therapy program, developed to prevent deaths from diarrhea, a leading killer of children in the developing world. In 1979, BRAC wanted to see if it was possible to teach Bangladeshis with limited literacy how to make their own oral rehydration solution using exact proportions of sugar, salt and water. So it launched a pilot and paid the trainers based on retention of correct knowledge. A month after the training, a monitor would visit and quiz the housewives to ascertain if the recipe had been remembered properly. It worked — to a degree. The problem was how to monitor the monitors — how to be sure the monitors weren’t simply filling out the forms at a tea stall, rather than making their required rounds. With lives at stake, it was a real concern. The answer lay with the children of the household. When the trainer first visited, he or she would record the first name of the youngest born. The name was kept from the monitor — a field left blank on his form, to be filled on the follow-up. When the forms came back, sometimes the names matched, which meant the monitor had visited the right household. Sometimes they didn’t. “We had to sack many of the monitors,” Abed recalls. Ruthlessly efficient? More like ruthlessly compassionate. After multiple trial rounds, the program was taken to scale. 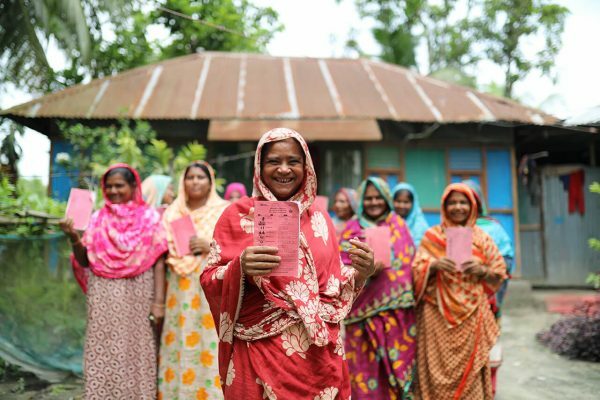 In the end, BRAC taught 14 million of Bangladesh’s 19 million households how to make the solution, contributing to a halving of the infant death rate. Pilot, perfect, scale up. Then ask again if you have to be small to be beautiful. Follow the Scaling Social Impact insight center on Twitter @ScalingSocial and register to stay informed and give feedback.